The key to success with terrariums and Wardian cases lies in matching the right plants with your mini-world. A happy union between plants, and an optimal terrarium atmosphere, can lead to a relationship that lives happily ever after. A terrarium provides very specific growing conditions. Even open-topped terrariums tend to be much more humid than your average container. The glass (or acrylic) sides add moisture to the ecosystem within, and that is what makes a terrarium so delightfully low-maintenance. All plant-filled terrariums need to grown in indirect light, especially if they’re closed or partially closed. When direct sunbeams fall on the glass, the insides can bake – frying all the little plants inside (think of a closed car in a sunny parking lot). So, you will want to fill your small world with plants that thrive in shady, moist conditions. Ferns, most orchids, begonias, peperomias, members of the African violet family, and many other plants (see the list below) love living in a terrarium. However, sun-worshippers and plants that prefer arid conditions won’t thrive in a terrarium over the long haul. 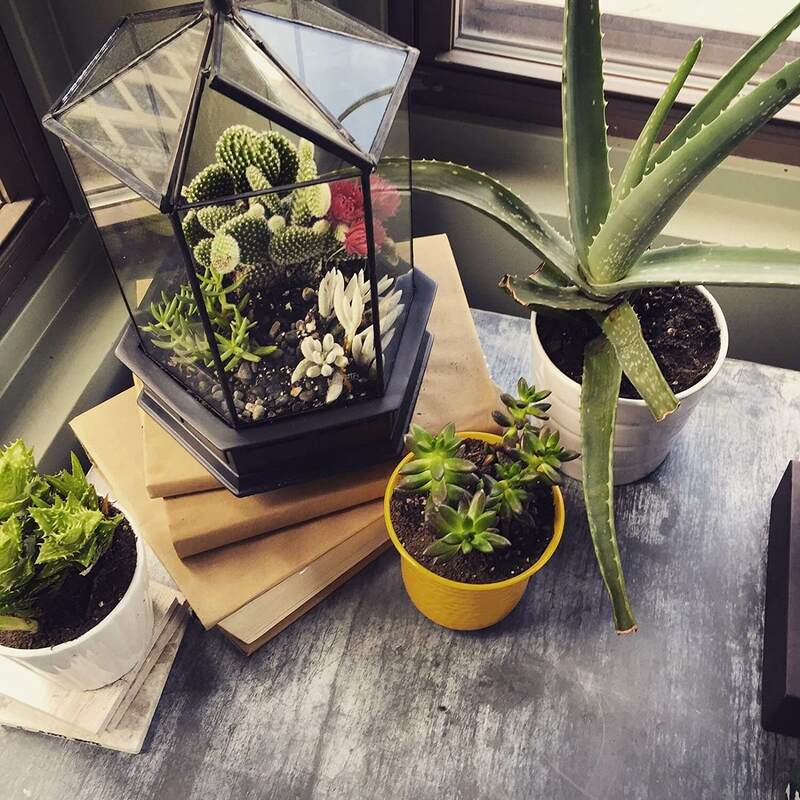 Unfortunately, cacti and succulents, alpines, geraniums, most herbs (mints being a possible exception) and any other similar plants fail to live long in a terrarium, even though they might be the right size for the space. They should remain diminutive throughout their lifespan, so check with the experts at your local nursery before purchasing a plant. Make sure it isn’t bound to be a jolly green giant eventually. After all, even the mighty oak starts life as a tiny acorn. However, many plants can be pruned and groomed to remain suitable for your terrarium or Wardian case dimensions. When you find the right plants for your mini-space, your small world will perk along beautifully. Not only will it rarely require your care and remain trouble-free, but your crystal kingdom will be a pleasure to behold. Can you think of a more fulfilling package?